"James Kilbourne" the founder of Worthington attended 'Business After Hours' with the Worthington Chamber of Commerce and others on Tuesday, August 23, 2011 to celebrate a new use of his old place. The Kilbourne Commercial Building or at least the north end of the building is coming back to life as a real estate office. Real Living HER Worthington (formerly known as HER Realtors) is opening at 681 High St. after years at two other sites in the city of Worthington, most recently 6902 N. High St. Worthington. The new home for the real estate office is in building that has been a home, a tavern (same thing as a hotel? ), a surveyors office, a newspaper, a funeral home and of course various shops over the years, most recently the Curio Cabinet and Christmas Village. One of the plaques on the exterior of the historic building refers to the building as a hotel and has a quote from James Kilbourne. The other plaque on the historic building commemorates, James Kilbourne, the founder of Worthington. Perhaps there were other uses of the Kilbourne Commercial Building over the years. The Kilbourne Commercial Building is said to be the oldest commercial building in Ohio in continuous use. Worthington was founded in 1803 by settlers from New England. Worthington was a planned community named for Governor Thomas Worthington. James Kilbourne was historian and author John Haueisen. He mentioned that at the time the historic building was a tavern, most of Worthington was taverns. 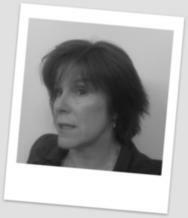 The stage coach days? 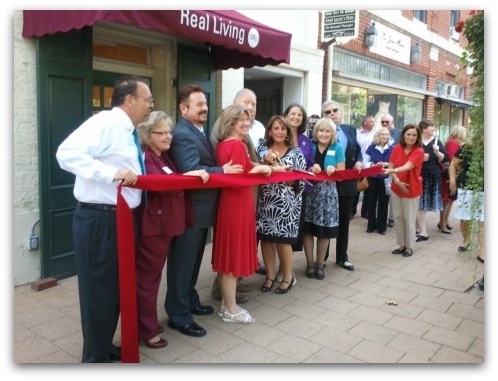 The 2011 HER Worthington ribbon cutting included Worthington dignitaries, the Worthington Chamber of Commerce, Real Living HER management and Real Living HER Worthington agents. The mayor of Worthington, Harvey S. Minton made a historic proclamation about the next phase in the life of the Kilbourne Commercial Building as the home of Real Living HER. After the ribbon cutting on High Street, the 'Business After Hours' party for the Worthington Chamber of Commerce was in the courtyard of the Kilbourne Shops, a great place for a party. 679 High St. the south end of the building will open as a toy store, "Toyville" soon.